Turning sunlight into fuel has just taken an important step forward thanks to a team of researchers. They successfully split water into oxygen and hydrogen by altering plants’ photosynthetic machinery. Photosynthesis is a process that plants use to convert light energy into chemical energy. They can subsequently release that energy to fuel their activities. A by-product of photosynthesis is oxygen. Plants absorb water. They then split the water via photosynthesis. Photosynthesis is one of Earth’s most important reactions because it is the source of most of its oxygen. When plants split water, another by-product is hydrogen. Hydrogen could potentially become a green as well as an unlimited source of energy. Hydrogen would also be a renewable source of energy. 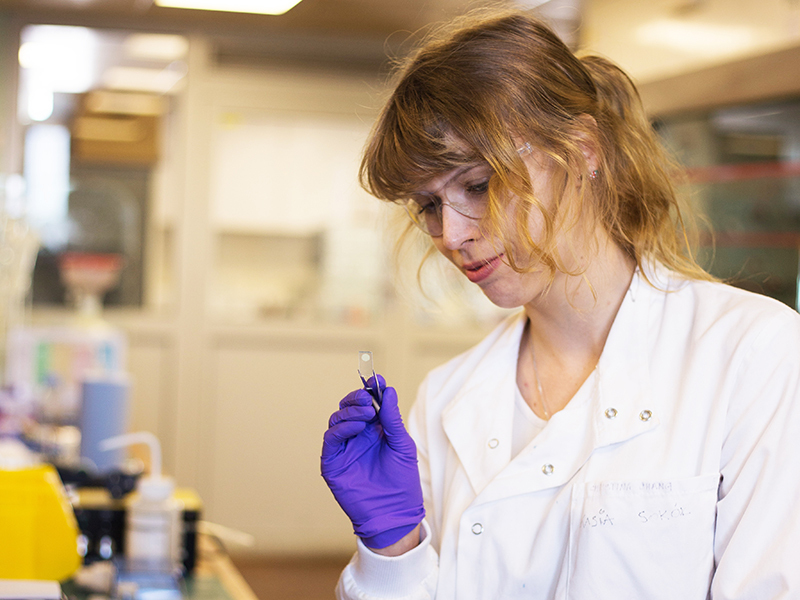 Katarzyna Sokół and colleagues used semi-artificial photosynthesis to explore new ways to produce solar energy. They also explored new ways to store it. They wrote about their study and findings in the prestigious journal Nature Energy (citation below). Sokół is a Ph.D. student at St John’s College at the University of Cambridge. The research team comprised people from the University of Cambridge, England, and Ruhr-Universität Bochum, Germany. The researchers used sunlight to convert water into oxygen and hydrogen. They used a mixture of manmade technologies and biological components. The authors claim that people could now use their research to revolutionize the systems used for renewable energy production. The journal article outlines how scientists at the Reisner Laboratory in Cambridge developed their platform. Their platform has achieved unassisted solar-driven water-splitting. Compared to natural photosynthesis, their method also managed to absorb sunlight more efficiently. Artificial photosynthesis has been around for a long time. However, it has still not managed to create renewable energy successfully. The system has required the use of catalysts, which are often toxic. The catalysts are also costly. Artificial photosynthesis, therefore, has not yet become an option for generating energy at industrial levels. 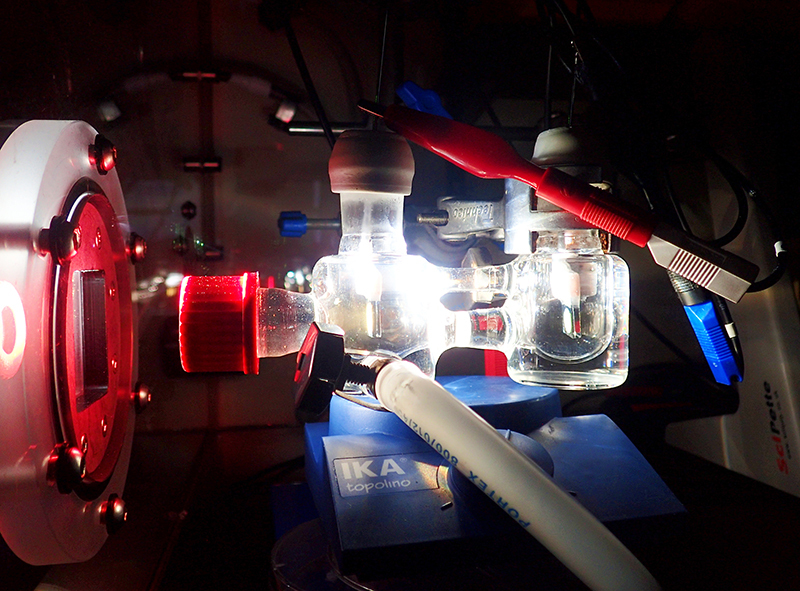 This latest study is part of the emerging field of semi-artificial photosynthesis. With semi-artificial photosynthesis, scientists believe they can overcome the limitations of fully artificial photosynthesis. With certain enzymes, they say that they can create the desired reaction. The authors not only improved how much energy they could produce and store, but they also managed to reactivate a process. This process had been dormant in the algae for millennia. Sokół hopes their findings will lead to the development of innovative model systems for converting energy from sunlight. This is the first model to use hydrogenase and photosystem II to create semi-artificial photosynthesis which is driven purely by solar power. Co-author, Dr. Reisner, is Head of the Reisner Laboratory, a Fellow of St John’s College, University of Cambridge. In a different study, in 2015, scientists managed to convert sunlight into liquid fuel using bacteria. “Bias-free photoelectrochemical water splitting with photosystem II on a dye-sensitized photoanode wired to hydrogenase,” Katarzyna P. Sokol, William E. Robinson, Julien Warnan, Nikolay Kornienko, Marc M. Nowaczyk, Adrian Ruff, Jenny Z. Zhang, and Erwin Reisner. Nature Energy (2018) – 03 September 2018. https://doi.org/10.1038/s41560-018-0232-y.